Chicago area's Prime Pack & Ship offers a unique and diverse range of services to consumers and businesses including worldwide shipping with discounted international shipping rates. 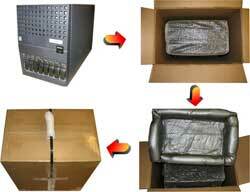 We offer Packaging and Crating service in our Schaumburg location or on-site. We'll even Pickup and Pack at your Location. 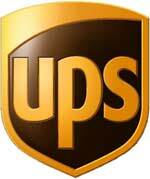 When items get too large or heavy for FedEx and UPS, P rime Pack & Ship offers discounted freight service. We regularly ship furniture, heavy equipment, or simply large quantities of boxes via international ocean and air freight. These freight carriers’ rates and service times vary by geographic area, so once again, Prime Pack & Ship can find the lowest cost provider for you! Secure packaging and crating that meets IPPC & ASTM international packaging material requirements. International air freight becomes a good option when shipping 300 lbs or more. Ocean freight can provide significant savings when your total shipping weight exceeds 750 lbs. When shipping Household Goods and Personal Effects, door-to-door delivery is unavailable. The recipient must arrange for pick-up at a port.